Depending on the type of the day, you would find me either running around with my pressure cooker making OPOS® Recipes where everything gets done under 8-10 minutes; or taking out my slow cooker the previous night so that I am greeted with lunch when I wake up in the morning. I am already working towards making my New Year 2017 resolution a success. Yeah, you heard me right :) I love making lists and New resolutions do work for me. My aim for the next year involves cutting down on restaurant food substantially and for that purpose I need to make it easy for myself to accomplish it. I hate cooking the previous day for next meal (freshly made food every meal), I find slow cooking satisfies that criteria as well making sure that I can prioritize things accordingly without having to rush at last minute. 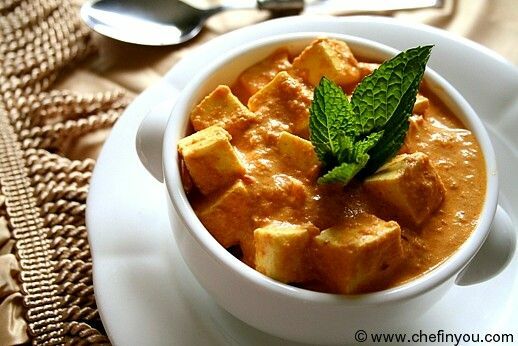 Many Indian foods are easy to make using slow cooker and requires almost no attention from me. 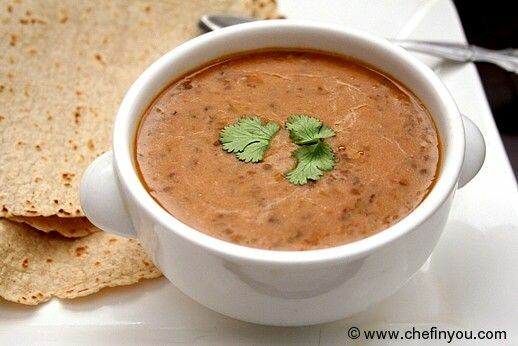 This Dal Makhani is among such and in fact I find it embraces slow cooker very well. The flavors get deep and the texture becomes rich and creamy without addition of too much butter/cream. This is the way I make mine. 1. Soak the lentils and kidney beans overnight. While it is not necessary when using a slow cooker, I find soaked legumes make for better digestion. 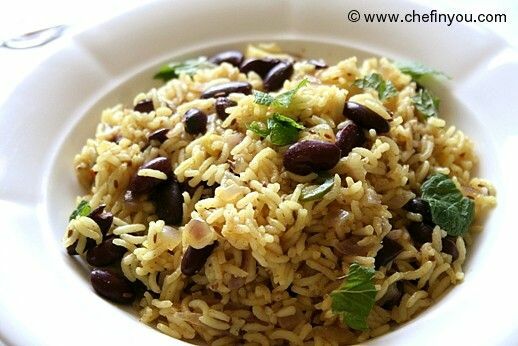 There is a worry that slow cooker does not cook the kidney beans completely. It's said that undercooked kidney beans is toxic. I usually add boiling hot water to soak the legumes and have found it to be well cooked when using the slow cooker. But if it still concerns you, boil the kidney beans for 10 minutes before adding it to the slow cooker. 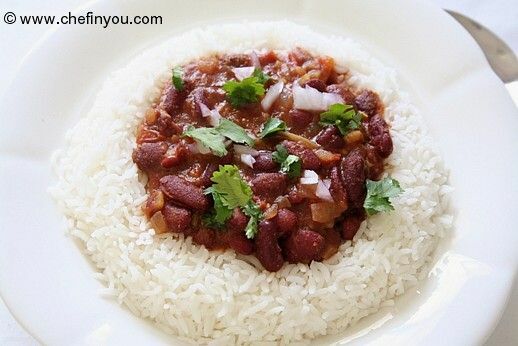 Or simply use canned kidney beans towards the end of cooking. 2. Drain the soaked lentil mixture and add it to the slow cooker. You can coat the slow cooker insert with oil but its optional. 4. and set the slow cooker to setting of your choice. When I am cooking overnight, I cook in low (8-10 hrs), but if its during the day (say around noon for dinner), I choose the High (4-5 hours) option. 5. Add turmeric, bay leaf, ginger and garlic. These help in digestion as well reduced or no flatulence that usually follows consuming legumes. 7. This is how it looks around 3.45 hours. [When cooked Low for 8 hours, it's always completely cooked] The lentils are completely cooked and kidney beans 99% cooked with a very slight bite to it. I continue cooking it. 8. You can choose to mash it with a spatula, but I just run my hand processor few times to mash it a bit. 9. That way it also helps to thicken up the dal. See its thick with a nice texture to it. Close the lid and continue cooking. 10. While that's happening, I cook the aromatics on the side. In a hot pan, add required amount of Ghee/butter. This is traditional but you can choose to just add a little bit of oil as well. Add the cumin seeds and once it starts spluttering, add the chopped onion along with the chillies. 11. Once soft - around 1 minute mark, add the chopped tomatoes. 12. Saute for another minute till it gets soft and then add all the spices along with salt. 13. Cook for a minute or so until the tomatoes break down. Can add few teaspoons of water to avoid the spices burning. This total sauteeing of onion and tomatoes should not take more 5-6 minutes in med-high heat. 15. and give it a good stir. Taste and adjust seasoning if needed and let it cook for another 30minutes or so. If you are in a time crunch, you can keep the setting on high and cook for another few minutes. But if you still have time, let it simmer in low until serving time. I find that the more it cooks, better the flavor and texture. Add cream right towards the end. I usually skip it 'cos I don't miss it at all. I garnish some fenugreek leaves along with cilantro before serving hot/warm with roti(s) and rice. 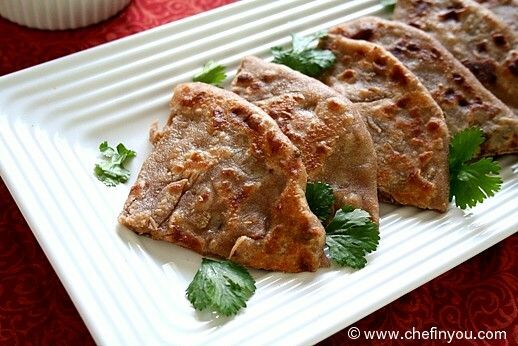 This recipe looks so delicious one of the Indian Punjab's recipe. Your method is so unique thanks for sharing.